Centrally located in the duty-free shopping haven of Langkawi, the Citin Hotel offers affordable rooms with a flat-screen TV and a daily breakfast. Free Wi-Fi access is provided in its lobby. In Kuah Town, the Citin Hotel Langkawi is a 20-minute drive from the Cenang Beach and a 30-minute drive from Langkawi International Airport. Colorful and modern rooms at the Citin come with air conditioning and a private bathroom with toiletries. Room service is included. Hairdryers and ironing facilities are available upon request. Some rooms include a continental breakfast. The Langkawi’s Citin Hotel has a 24-hour front desk that provides car rentals and a laundry service. The tour desk offers assistance with water activities such as snorkeling or jet skiing. Centrally in Kuah, Hotel Grand Continental provides easy access to department stores, restaurants and entertainment options. It offers value-for-money rooms, a beautiful outdoor pool and free Wi-Fi. Hotel Grand Continental Langkawi is a 10-minute drive from Kuah Jetty and 20 minutes from Langkawi International Airport. The hotel provides an airport shuttle service upon request. The air-conditioned rooms are well-furnished with cable TV, a minibar and ironing facilities. Private bathrooms have a hairdryer and toiletries. Some rooms come with a living area. The Sri Dayang Coffee House offers a selection of local and Western dishes. It also provides a buffet breakfast and hi-tea daily. Meals can be enjoyed in the privacy of rooms. In central Kuah Town, Langkawi, Eagle Bay Hotel features an outdoor hot tub, free breakfast at Meranti Restaurant and rooms with panoramic mountain views. Adventurous activities like diving, cave exploring, water sports and tours can be arranged by the friendly staff. Every affordable and comfortable guest room has a TV, tea and coffee-making facilities and air conditioning. The private bathrooms have showers, and some rooms include Wi-Fi access. Eagle Bay Hotel is a 20-minute drive from Langkawi International Airport. The major duty-free outlets, Dataran Lang, Eagle Square and CHOGM Park are a short drive from the property. Bayview Hotel Langkawi presents beautiful views of the sea and hills from a central location in Kuah’s commercial district. Free parking and an outdoor pool are among the facilities offered. Bayview Langkawi is about 8 miles, or a 25-minute drive, from Langkawi Airport. The ferry terminal in Kuah is 2 miles, or a 5-minute drive, from the hotel. Fitted with wall-to-wall carpeting, the comfortable rooms at Bayview feature a cable/satellite TV and minibar. Warm lighting helps to create a cozy atmosphere, while the spacious bathroom come with both bathtub and shower. Free internet is provided in all rooms. Guests may exercise at the hotel’s fitness center or simply relax with a massage at the spa. 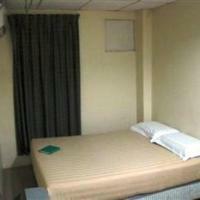 The hotel also offers private karaoke rooms and a helpful business center. Flamingo Coffee House serves a selection of international and Asian dishes. Fine Chinese dining can be enjoyed at Phoenix Restaurant. For a light snack, Teh Tarik Stall serves local delights in a casual setting. In the heart of Kuah Town, Langkawi Seaview Hotel offers free Wi-Fi and an indoor pool with an attached hot tub. 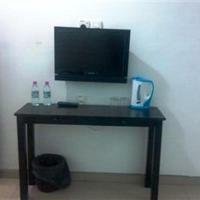 Its spacious rooms offer cable TV channels and a tea/coffee maker. Hotel Langkawi Seaview is within a 15-minute walk of duty-free shops and Kuah Jetty. Langkawi International Airport is a 25-minute drive away. Rooms at Langkawi Seaview offer balconies with views of the sea or hills. They come with a fridge and minibar. Private bathrooms have toiletries and a hairdryer. Guests can make sightseeing arrangements or rent a car at the hotel’s tour desk. Laundry and dry cleaning services are available. A local or international meal can be enjoyed at The Kingfisher Café, in hotel’s lobby. The 2-story Azio Hotel is in Langkawi, a 5 minute drive from Langkawi Jetty. The hotel offers a duty-free shop, free parking and rooms with flat-screen satellite TVs. Rooms at Hotel Azio are air-conditioned and come with tea/coffee-making facilities and hairdryers. Internet access is available for an extra fee. The hotel features fax and photocopying services. The staff at the 24-hour front desk can assist with travel and tour information. The Azio Mporium Shop offers a selection of wine, cigars, fragrances and chocolates. 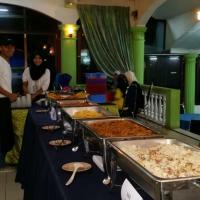 Azio Hotel is approximately 9 miles from Langkawi International Airport. Located in Kuah Town, MY Hotel is a 5-minute drive from Langkawi Jetty. It features rooms with a flat-screen satellite TV. An outdoor pool, restaurant and 24-hour front desk is available. Each air-conditioned guestrooms has floor-to-ceiling windows, safe and minibar. An attached bathroom comes with a shower. The hotel provides laundry and dry cleaning services. A business centre and free private parking is available. Jet skiing, boating, snorkeling and diving trips can be arranged. Steaks, seafood and pasta are served at the Elm Restaurant and Bar MY Hotel is a 20-minute drive from the Langkawi International Airport. Bella Vista Resort & Spa Langkawi is a 30-minute walk from Kuah Town Centre. It features a restaurant, an infinity pool and rooms with views of the Andaman Sea or garden. The air-conditioned rooms at Bella Vista come with warm wood furnishings and private bath facilities. A cable TV and minibar are also provided. The hotel offers free Wi-Fi in the business center and free parking. Day trips and sightseeing activities can be arranged at the tour desk. To unwind, guests can sing karaoke or enjoy a barbecue poolside. Traditional Malaysian and international dishes are served at Nautilus Bar & Grill. Light snacks and refreshing beverages are available at the bar. Bella Vista Resort is 12 miles from the natural pools of Telaga Tujuh and a 20-minute drive from Langkawi Airport. Bahagia Hotel Langkawi offers modern rooms with satellite flat-screen TVs, within walking distance of Kamdar Shopping Centre and duty-free shops. Free Wi-Fi is available in the business center. Hotel Bahagia Langkawi is a 25-minute drive from Langkawi International Airport and a 5-minute drive from Kuah Jetty. 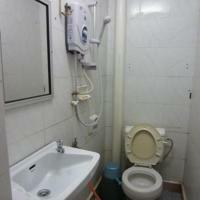 Modern rooms have a private bathroom with hot/cold shower and amenities. They are also equipped with an iron, hairdryer and work desk. Tea/coffee making facilities are also provided. Guests can enjoy fishing, diving and snorkeling at the hotel. Bahagia Langkawi also offers airport shuttle and laundry service. There is a business center and a tour desk that helps with travel arrangements. Guests can enjoy breakfast and a range of local and international dishes at Bahagia Coffee House. Directly connected to Langkawi Parade Shopping Complex, Hotel Langkasuka Langkawi is located in Kuah. It offers free parking and modern rooms with tea and coffee making facilities. Langkasuka Hotel is a 10-minute drive from Kuah Pier while Langkawi International Airport is just 20 minutes away by car. Air-conditioned rooms are equipped with a TV, phone and work desk. Bathrooms have toiletries and heated shower facilities provided. Guests can rent a car or make currency exchanges in the hotel. Laundry and dry cleaning services are also available. Local Malay delights are served in the hotel’s coffee house. For alternative dining options, room service is available. Twin Peaks Island Resort is a 20-minute drive from Langkawi International Airport and the beach. It has an on-site restaurant and offers easy access to Kuah and shopping areas. Each room at Twin Peaks Resort is air-conditioned and features wide windows. They are equipped with a TV, telephone, minibar and have private bathroom facilities. The resort has an on-site restaurant which serves local dishes. Guests can relax at the outdoor swimming pool at Twin Peaks Island Resort. Younger guests can have fun at the children’s playground. Other facilities offered at the resort include a conference room and free private parking. The hotel also has a 24-hr front desk for the convenience of guests. Overlooking the scenic Kuah Bay, De Baron Resort offers 2 outdoor swimming pools overlooking the sea. In Kuah Town, the resort is approximately 9 miles from Langkawi Airport. The jetty is just a 5 minute drive away. Day trips can be booked at the tour desk, which also assists in car rentals. Rooms are equipped with tea/coffee making facilities and a minibar. Safes are provided. Select rooms overlook the sea and offer bathrooms with bathtubs. Local Malaysian delights can be enjoyed at De Baron Restaurant. Alternatively, a delightful barbecued meal can be prepared using the hotel’s facilities. A 10-minute walk from the Night Market, One Motel & Cafe offers value-for-money accommodation a 5-minute drive from the ferry terminal in Kuah Town. Rooms have air conditioning and a flat-screen TV. The motel is a 5-minute walk to Haji Ismail Shopping Centre and Pekan Rabu Food Court and Complex. Pantai Cenang Beach is a 20-minute drive from One Motel & Cafe, while the airport is 30 minutes away. All rooms feature a private bathroom with hot and cold water facilities. Wi-Fi is provided free of charge. Select rooms offer beautiful views of the sea. Water activities such as fishing and island tours can be arranged. The motel also offers car rental, tour, and taxi services. Local and imported beers are served at One Cafe. D'Coconut Resort is located on Gunung Raya Hill, a 35-minute drive from Langkawi International Airport. It features an outdoor swimming pool, spa facilities and free Wi-Fi in public areas. D'Coconut Hill Resort is a 5-minute walk from the Peak Tower where sweeping views of Langkawi Island can be enjoyed. Other nearby local attractions are Kuah, Pulau Dayang Bunting and the Durian Perainginan Waterfall. All rooms at Hill D’Coconut are air-conditioned and feature flat-screen cable TV, a sitting area with sofa set and tea/coffee maker. Rooms feature private bathroom facilities and a balcony. Guests can take a refreshing dip in the pool and enjoy massages and body treatments at the spa. The resort also provides a tour desk where day trips and activities can be organized. The hotel features Viet Lang and La Torre restaurants which serve local specialties and a variety of European dishes. Drinks can be enjoyed at the bar. Room service is provided for the convenience of guests. 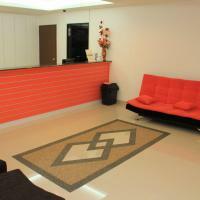 Langkawi Budget Inn offers affordable and modern accommodation with free Wi-Fi in the lobby. 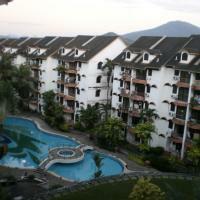 It is within walking distance of Zeno Shopping Centre and Plaza Langkawi. Centrally located on Langkawi Island, Budget Inn Langkawi is a 5-minute drive from the jetty and a 25-minute drive from Langkawi Airport. Air-conditioned rooms are fitted with cable TV. Private bathrooms have a heater. Ironing facilities are available on request. Guests can lounge at the air-conditioned lobby area, which features seating area and free Wi-Fi access. Coco Valley Inn offers affordable rooms with free Wi-Fi and flat-screen TVs. Located in central Kuah, it is a 5-minute walk from the night market and hawker stalls. Air-conditioned rooms at Hotel Coco Valley feature modern dark wood furnishings. For convenience, an iron and hairdryer are provided. Private bathrooms have hot/cold showers. Coco Valley Inn provides a comfortable sitting area at the lobby. Luggage storage is provided. Langkawi Airport is about a 30-minute drive from Coco Valley Inn. Located in downtown Kuah opposite the night market, Langkawi Baron Hotel is within a 5-minute walk from shopping options, as well as a convenience store. Rooms offer a tea/coffee making facilities and a minibar. Baron Hotel is a 25-minute drive from Cenang Beach and Underwater World. Langkawi Cable Car is a 40-minute drive away. Langkawi Baron’s air-conditioned rooms come equipped with a telephone and electric kettle. En suite bathrooms have 24-hour hot and cold shower facilities and toiletries. Free parking is offered in the hotel. Guests can also make use of the free Wi-Fi provided in the lobby. Akasia Hotel is located in Kelibang, a 15-minute drive from Langkawi Airport. It features a restaurant and cozy rooms with a balcony. Free Wi-Fi and parking are provided. The air-conditioned guest rooms at Hotel Akasia are equipped with floor-to-ceiling windows that offer plenty of natural light. Rooms come with a cable TV and work desk. Private bathrooms are equipped with hot shower facilities. The hotel provides 24-hour security services. Fax and photocopying services are also available upon request. Guests can sample local and international dishes at the on-site restaurant. The Akasia is half a mile from the shopping district in Kuah. 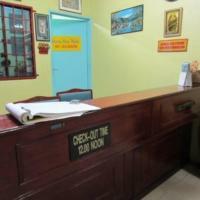 Sunderland Motel is located in Kuah, Langkawi, a convenient 5-minute drive from the pier. It provides affordable accommodations with private bathroom and free Wi-Fi in the entire hotel. The Sunderland Motel is about 20 miles from Kuala Perlis, a town famous for its seafood. It takes about 20 minutes by car to Langkawi Airport. Rooms at Motel Sunderland feature tiled floors and are simply furnished, They have spacious interiors and are equipped with air conditioning, a work desk and satellite TV. Guests can use the baggage storage facilities at the 24-hour front desk. A shuttle services is also provided for added convenience. Offering free Wi-Fi in the entire hotel and car rental facilities, Cozy Inn also enjoys a central location. It is a 5-minute drive from the famous Dataran Helang (Eagle Square) and the Langkawi Fair Shopping Mall. Rooms are air conditioned and elegantly decorated. They are equipped with a flat-screen satellite TV, a minibar and a tea/coffee maker. They all have a private bathroom. It takes a 25-minute drive from the hotel to Langkawi Airport and Pantai Cenang’s beautiful beach. There are several local eateries within a walk from the hotel. The tour desk can help guests organize excursions to the many tourist attractions. Offering free Wi-Fi, Motel Warisan Tokwan in Kuah's Kampung Kelibang is just a 2 minute walk from local restaurants. Its basic rooms all come with a TV and air conditioning. Motel Warisan is a 5-minute walk from Langkawi Parade Shopping Center and a 10-minute drive from Pekan Kuah Night Market. It is a 25-minute drive from Pantai Cenang Beach and Langkawi Airport. Featuring tiled floors, simply furnished rooms have a cupboard. Electric kettles are available upon request. Attached bathrooms have shower facilities and toiletries. Car rentals, currency exchange and city tours can be arranged at the front desk. Upon request, laundry services are also available. Situated a 5-minute drive from the iconic Dataran Helang (Eagle Square), this hotel provides complimentary on-site parking and free Wi-Fi in its public areas. It also has a 24-hour front desk. Region Hotel is a 20-minute drive from the sandy Cenang Beach and within a 30-minute drive of Langkawi Airport. Fitted with hardwood floors, simply furnished rooms offer air conditioning and satellite TV. Private bathrooms have shower facilities and toiletries. Trillion Motel offers simple no-frills rooms in Kuah, within Langkawi Mall Phase 2. Just 2 minutes' walk from local eateries, it has free Wi-Fi in its lobby and a 24-hour front desk. Fully air-conditioned, rooms come with a TV and tiled flooring. Private bathrooms have shower facilities and toiletries. Trillion Motel is a 5-minute drive from Dataran Helang and the duty-free shopping areas in Langkawi. It is within a 30-minute drive from Pantai Cenang, Underwater World and Langkawi Airport. Self-service ironing facilities are available on every floor of the motel. Hotel Asia is located in Kuah, a 5-minute walk from Langkawi Fair Shopping Mall and Pandak Mayah Commercial & Shopping Centre. Its modern air-conditioned rooms are equipped with a flat-screen TV. Free Wi-Fi is available. Hotel Asia is a 5-minute drive from Legenda Park. It is an 8-minute drive from Dataran Lang and Jetty Kuah. Langkawi Airport is a 30-minute drive away. Rooms come with or without windows. All have an electric kettle and a private bathroom with shower facilities. Daily newspapers are provided at the 24-hour front desk. Private parking is available at a location nearby. Gamy Inn is conveniently located a 5-minute walk from the jetty and Pekan Kuah. It provides basic, air-conditioned rooms with en suite bathrooms. Wi-Fi is free in the entire guesthouse. The guesthouse is located a 20-minute drive from Langkawi Airport and Pantai Cenang. Free public parking is available on site. 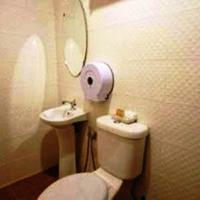 The rooms are simply furnished and provide modern bathroom facilities. They have a mirror and a drying rack for guests’ convenience. Guests can relax and watch TV in the common living room. There is also a pantry with a cold and hot water dispenser. L'Hotel Malaysia est idéalement situé à moins de 5 minutes à pied de Pekan Kuah et de plusieurs restaurants locaux. Il propose un hébergement simple doté de la climatisation, d'une télévision par câble et d'une salle de bains privative. Décorées en toute simplicité, les chambres possèdent un coin salon. Elles sont équipées d'un bureau et de moquette. Des chaussons sont également fournis. Vous trouverez des distributeurs d'eau chaude et d'eau froide dans le salon commun. Du matériel de repassage peut être fourni sur demande. Le Malaysia Hotel se trouve à 25 minutes en voiture de l'aéroport de Langkawi et à 20 minutes de Pantai Cenang. Un parking public est disponible gratuitement sur place. Motel Seri Mutiara is located in Kuah Town, within a 5-minute walk from Pekan Kuah and Taman Lagenda Beach. Offering free Wi-Fi, it also has free parking and a 24-hour front desk. All rooms come with 2 free bottles of mineral water per stay. The air-conditioned rooms are equipped with a flat-screen TV, electric kettle and iron. Private bathrooms come with shower facilities. Motel Seri Mutiara is a 5-minute drive from Kuah Jetty and Dataran Helang. It is a 20-minute drive from Underwater World Langkawi and Langkawi International Airport. Pantai Beringin is a 10-minute walk away. The motel provides car rentals and airport shuttles, at an extra charge. A 5-minute drive from Pekan Kuah, Mawanza Motel offers basic air-conditioned rooms with a TV. It has karaoke facilities, as well as an on-site restaurant which serves local food. Parking is available and is free. Simply furnished, rooms are fitted with tiled flooring. Private bathrooms are equipped with shower facilities. Mawanza Motel is a 10-minute drive from Dataran Helang, famous for its eagle sculpture. Langkawi Airport is a 20-minute drive away. Arisz Motel offers air-conditioned rooms with free Wi-Fi access and complimentary bottled water. It is a 10-minute drive from Pekan Kuah, Jetty Pelancongan (Tourism Jetty) and Zeno Shopping Centre. Fitted with tiled flooring, rooms feature a flat-screen TV and an electric kettle. Private bathrooms come with hot shower facilities and toiletries. Just a 5-minute drive from Dataran Helang (Eagle Square), Arisz is a 20-minute drive from Beringin and Cenang beaches. The Langkawi International Airport is a 30-minute drive away. Nany Apartment Homestay Kuah Langkawi is located in midtown Kuah, a 5-minute drive from Langkawi Airport and Kuan town's ferry jetty. It offers an outdoor pool and 24-hour front desk. Fully furnished apartments are fitted with a kitchen and washing machine. 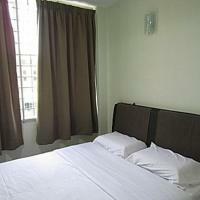 Nany Apartment Homestay Kuah Langkawi is an 8-minute drive from shopping options in Kuah Town. Pantai Cenang, Underwater World is a 5-minute drive away. It takes 20 minutes by car to travel to Kuah Town Mall, Langkawi Parade Megamall and The Zon Duty Free Shopping Complex. 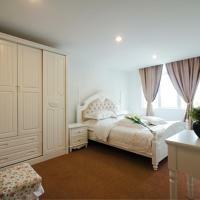 The apartment comes with 3 separate bedrooms, with the master bedroom offering an en suite bathroom. Ironing facilities, washing machine and a refrigerator are provided. The living room comes with a flat-screen satellite TV. Guests can request to rent a car from the front desk. Free parking is available within the property’s grounds. Local cuisine can be enjoyed a 5-minute drive from the apartment building. 1 Baron Motel is located in Pekan Rabu, a short walking distance from the night market. It provides a tour desk and rooms with attached bathrooms and free Wi-Fi. Pantai Cenang is about 19 km from the motel, while Langkawi International Airport is situated 30 km away. Public parking is available at an extra charge. For meals, guests can sample local specialities at the many eateries around the motel. All the air-conditioned rooms at Baron 1 Motel are fitted with either carpeted or wooden flooring. Ironing facilities are provided upon request. Malinja Homestay is located 1 km from Mahsuri Tomb. It offers free Wi-Fi throughout the building. Free parking is provided. Houses come with a kitchenette, living room and dining area. A flat-screen TV and washing machine are provided. Garden and mountain views are offered. Daily newspapers are provided for guests’ reading pleasure. Guests can unwind and relax in the garden. Local eateries are located opposite the homestay. Malinja Homestay is 5 km from Padang Masirat Town. Telaga Air Tujuh is 15 km away. A 10-minute walk from Kuah Town, Comfy 3 Room Apartment in Langkawi, Malaysia offers fully furnished apartments with a kitchenette and living area. Free parking is available. 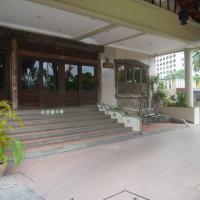 Langkawi Comfy Apartment is a 15-minute walk from Dataran Helang and Jetty Point Shopping area. It is a 30-minute drive from Pantai Cenang Beach and Langkawi Airport. Overlooking the gardens and mountains, the well-equipped apartments are fitted with a TV, sofa bed and washing machine. They also have a private balcony and bathroom with a shower. Guests can take a dip in the swimming pool, or take a relaxing stroll in the garden. Airport shuttle services are available upon request at the 24-hour front desk. Situated in the heart of Kuah Town, Seaview Apartment offers spacious 3-bedroom apartments with a kitchenette and comfortable living room. Guests staying at the apartment have access to all the facilities and services at Langkawi Seaview Hotel, located 500 metres away. The hotel features an indoor spa pool. It also provides luggage storage services, as well as car rental facilities and a shuttle service. Apartment Seaview offers spacious 3-bedroom apartments with private balconies and modern en suite bathrooms. They are equipped with cable TV, a writing desk and ironing facilities. The kitchenette comes with a minibar, a toaster and kitchenware. The apartment is within a 15-minute walk from duty-free shops and Kuah Jetty. Langkawi International Airport is a 25-minute drive away. Amara Guesthouse provides simple accommodation with flat-screen TV and en suite bathroom, within a 5-minute drive of Dataran Helang. It is less than 1 km away from Kuah Town and offers free Wi-Fi and free parking. The guesthouse is located a 20-minute drive from Langkawi Airport and 25 minutes from Pantai Cenang. It takes 30 minutes by car to Underwater World and 40 minutes to the Cable Car. The rooms at Guesthouse Amara are equipped with a fan and air conditioning. They feature an electric kettle, a telephone and free toiletries. Iron facilities and a hairdryer are available upon request. For meals, guests can sample local delicacies at the many restaurants located a 5-minute walk away. 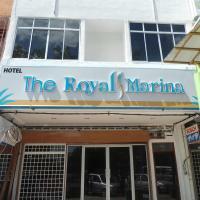 Located within 1 km of Kuah Jetty, Rose Inn Motel provides budget accommodation with air conditioning and free Wi-Fi. Parking is available free of charge on site. The motel is a 5-minute walk from Langkawi Fair Shopping Centre and Dataran Helang. It only takes 10 minutes on foot to Kuah Town. Pantai Cenang and Langkawi Airport are a 20-minute drive away. The rooms at Motel Rose Inn are simple, featuring a bright décor, a flat-screen TV and freshly laundered beddings. Free toiletries are provided for guests’ convenience. Ironing facilities are available on request. Offering complimentary Wi-Fi access, this non-smoking hotel features spacious rooms equipped with a kitchen. It is only a 5-minute walk to the duty-free Langkawi Parade MegaMall. Free private parking is available. Simfoni Resort is located just a convenient 10-minute drive to the iconic Eagle Square, the Jetty Point and the Underwater World. Pantai Cenang and the Langkawi Cable Car is a 20-minute drive away. Langkawi International Airport is also about a 20-minute drive. Air-conditioned rooms feature a balcony with sea views, and offer a personal safe, a satellite TV and ironing facilities. The kitchen comes with an oven, a fridge and a dining area. En suite bathrooms provide a hairdryer and free toiletries. The hotel operates a 24-hour front desk that can assist with luggage storage, car rental and tour services. A business centre and meeting/banqueting facilities are provided, while airport shuttle can be arranged. The Simfoni Restaurant serves Halal International dishes. Room service is available. Featuring peaceful views of the grounds, mountain and sea, Ocean Front Estate features rooms with an attached kitchenette. It operates a 24-hour front desk and complimentary private parking is available on site. Free Wi-Fi is available in common areas. Air-conditioned rooms come with a desk, a TV and a sitting area. The kitchenette in each room comes with tea/coffee maker, a fridge, and kitchenware. Private bathrooms have hot and cold shower facilities. Ocean Front Estate provides a tour desk that can assist with tours and travel arrangements. Guests can relax and take a walk around the garden, or enjoy a barbecue session with the facilities offered. For meals, local and Chinese foods are available within a 5-minute drive away. 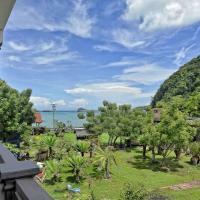 The property is within a 25-minute drive from Kuah Town and the beautiful Cenang Beach. Tanjung Aru is a 30-minute drive away, while the famous Kok Beach and the well-known Langkawi Cable Car are a 45-minute drive away. Set just a 10-minute drive from Kuah Jetty, Amara Motel Langkawi offers clean and comfortable accommodation with air-conditioning and free Wi-Fi access at all areas. This modern property is situated just a 30-minute drive from Langkawi International Airport and Canang Beach. Legenda Park is just a 10-minute drive away. Fitted with clean linen sheets, rooms at Amara Motel are equipped with air-conditioning and a flat-screen TV. Hot/cold shower facilities are included in the en suite bathroom. Getting around the island is accessible with car rental services. A 24-hour front desk can assist with luggage storage and travel arrangements. While the motel does not house any restaurant, Seri Betong Restaurant and Medan Selera Restaurant is just a 2-minute walk away and will serve an array of Halal Malay dishes. In the heart of Kuah Town, Altis Hotel Langkawi features well-furnished rooms with air conditioning and free Wi-Fi access. A 9-minute drive from Langkawi Jetty, the property is also a 25-minute drive from the newly built Langkawi Underwater World. Langkawi International Airport is a 20-minute drive away. Air-conditioned rooms are equipped with ironing facilities, a TV or flat-screen TV with satellite channels and an electric teakettle. The private bathroom includes a shower, bidet and free toiletries. Altis Hotel’s 24-hour front desk is happy to assist guests with any queries. For convenience, Airport shuttle services are available at a charge. While the hotel does not house any restaurant, guests can sample local delights at various eateries just a 2-minute walk away. Situated a 4-minute walk from the 99 Degrees East Golf Course and a 7-minute drive from the Langkawi International Aiport, this homestay is conveniently located just opposite local eateries. It offers basic rooms with garden or mountain views. Inapan Mata Air Langkawi is a 5-minute drive from the Mahsuri Mausoleum and a 20-minute drive from Langkawi Cable Car. Kuah Town and Cenang Beach are 10 minutes away by car. Cooled with both air conditioning and a fan, rooms offer a flat-screen TV with satellite channels, tea/coffee making amenities and an iron. 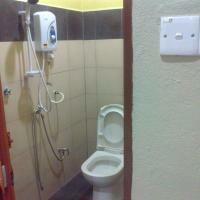 The en suite bathroom comes with shower facilities and toiletries. Inapan Mata Air operates a 24-hour reception. Car rentals can be arranged and complimentary private parking spaces are available. In Langkawi Town, the Peach Blossom Village enjoys a great location just a 5-minute drive from Dataran Helang and Langkawi Jetty. It provides a water dispenser in the lobby and free Wi-Fi throughout the property. The rooms at the Peach Blossom Village are fully air-conditioned and well-equipped, with a flat-screen TV, a writing desk and a private bathroom. Free toiletries are provided for guests’ convenience. Some rooms have a comfortable sitting area and a bathtub. The property is located a 25-minute drive from Pantai Cenang and a 30-minute drive from Langkawi International Airport. Private parking is available on site. Overlooking peaceful sea views, The Ocean Residence Langkawi houses an outdoor swimming pool and offers meeting facilities. Modern rooms are equipped with air conditioning and free Wi-Fi access. Located just a 5-minute drive from Kuah City, the property is also an 8-minute drive to Dataran Helang. The popular Cenang Beach and Langkawi International Airport is a 20-minute drive away. Featuring a private balcony with seating area, spacious rooms are furnished with a separate living area, a fully equipped kitchen, a dining area and satellite flat-screen TV. The en suite bathroom will include hot/cold shower facilities. Guests can approach the hotel’s reception for assistance with luggage storage as well free parking facilities for those who drive. While the hotel does not house any restaurant, various local eateries and street food stalls are available within a 10-minute walk away. Situated in Kuah Town, Cabana Guest House is a 2-minute walk from duty-free shopping options and a 5-minute walk from an eatery. It provides free Wi-Fi access throughout its premises. The guesthouse is a 5-minute drive from Kuah Jetty and Dataran Helang. It is a 20-minute drive from Cenang Beach and a 25-minute drive from Langkawi International Airport. 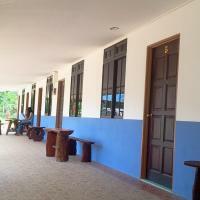 Rooms and dormitory rooms are air-conditioned, and offer a flat-screen TV, an electric kettle and a minibar. Private or shared bathrooms come with hot water supply. An iron and a hairdryer are available on request. Cabana can also assist with luggage storage and use of safety deposit boxes. Situated in Kuah, Penarak Bamboo Beach Motel provides simply furnished accommodation just a 5-minute drive from the jetty terminal and Eagle Square. It also offers a restaurant, free Wi-Fi access and parking. Air-conditioned rooms with tiled flooring and wooden furnishings come with a TV, electric kettle and en suite bathroom with shower. Ironing facilities and a hairdryer are also provided. 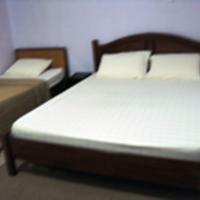 Penarak Bamboo Beach Motel offers luggage storage facilities and car rental service. Bamboo Restaurant, serves halal dishes and fresh seafood. Room service is available. Located in a fishing village, Penarak Bamboo offers sea views. 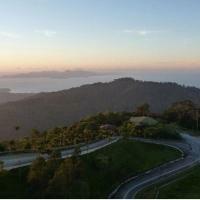 It is just a 10-minute drive to Kuah Town and a 30-minute drive to Langkawai International Airport from the property. Riverra Inn is an elegant hotel with an in-house restaurant and a convenience store. It enjoys a good location, just a 5-minute drive from Kuah Town and a 5-minute walk from the Night Market. Wi-Fi is free throughout the property. 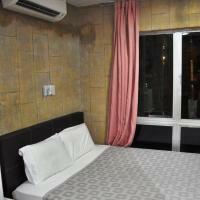 The rooms at Riverra Kuah Inn are fully air conditioned and feature tiled flooring and freshly laundered beddings. They have a flat-screen TV, an electric kettle and an en suite bathroom. The hotel is located an 8-minute drive from Dataran Helang and a 25-minute drive from Pantai Cenang. Langkawi Airport is situated a 30-minute drive away, while the Underwater World is about 40 minutes away. The Riverra Restaurant serves a selection of local dishes. The hotel also has a tour desk which helps guests organise excursions to tourist attractions. Car rental facilities are also available.